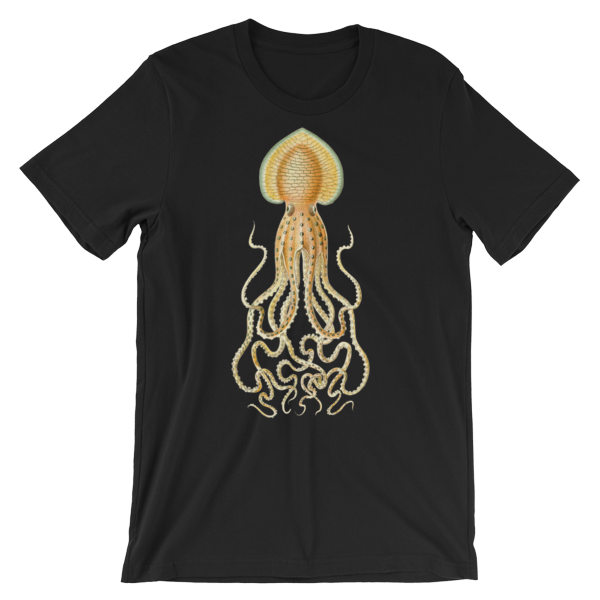 Born in 1834, Ernst Heinrich Philipp August Haeckel was a German marine biologist, philosopher, physician and artist who described, drew and named thousands of new animals. We think his beautiful illustrations deserve to be celebrated again today, so we honor the great man here with a collection of T shirts inspired by his work. 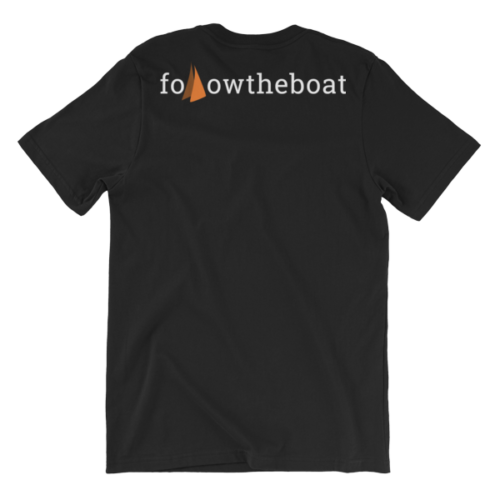 On the back is our classic followtheboat logo. Select both size and color from the drop-downs to view large image color options. 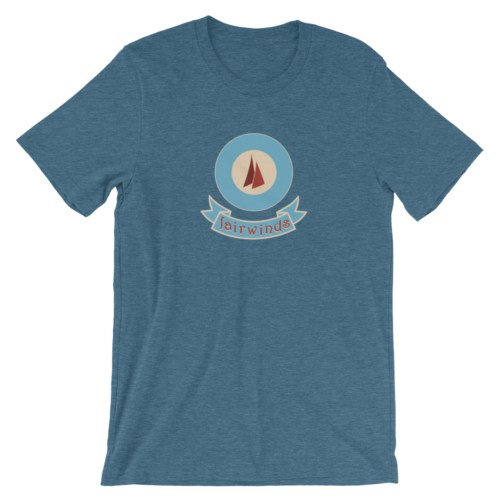 Peace and fair winds! 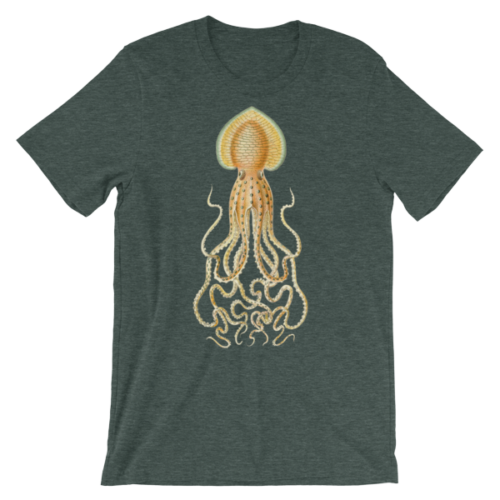 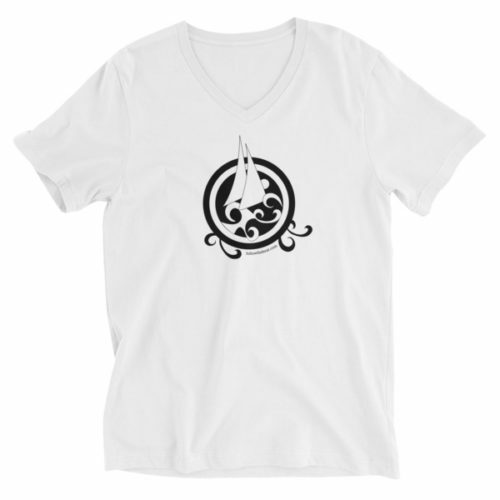 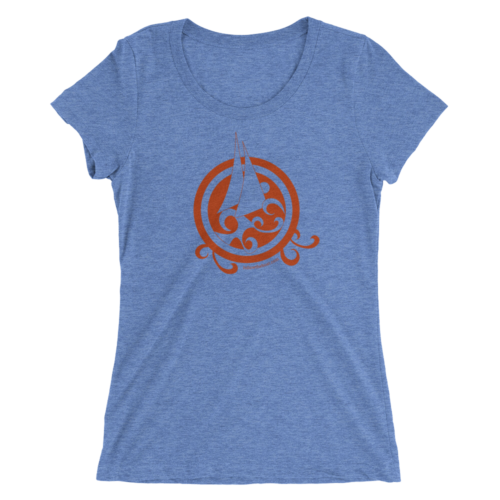 This unisex tee is made from 100% combed and ring-spun cotton (heather colors contain polyester) and comes in sizes S to 3XL. There are 11 colour options. • Fabric weight 4.2 oz. • Machine wash cold, inside-out, gentle cycle with mild detergent and similar colors. • Use non-chlorine bleach, only when necessary. • Tumble dry low, or hang-dry for longest life. • Cool iron inside-out if necessary. • Do not iron print.